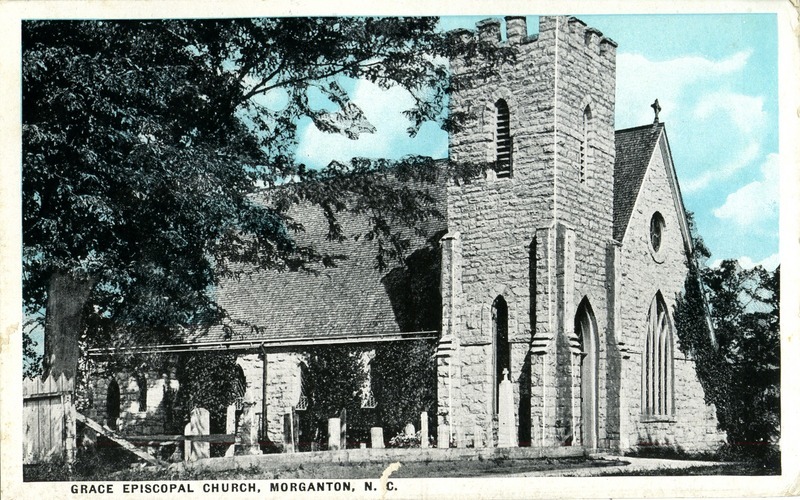 Holt motored to Grace Episcopal Church, in Morganton, North Carolina, where his parents were married in 1872. 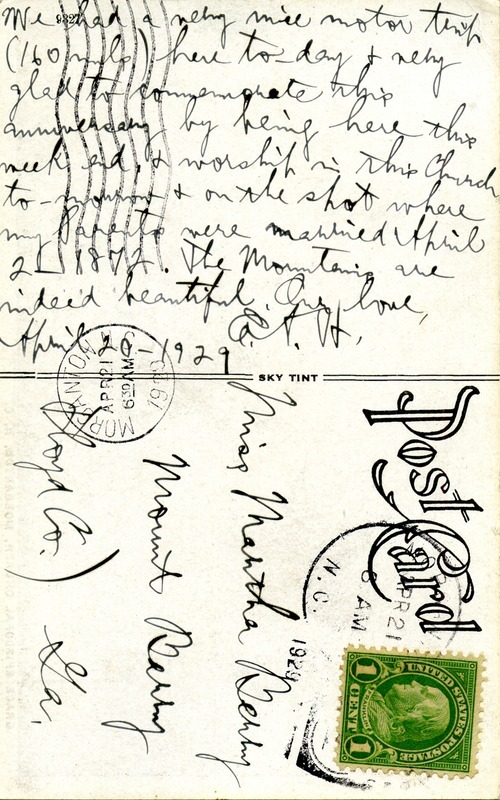 E. A. H., “Postcard from Erwin A. Holt to Martha Berry.” Martha Berry Digital Archive. Eds. Schlitz, Stephanie A., Sherre Harrington, et al. Mount Berry: Berry College, 2012. accessed April 24, 2019, https://mbda.berry.edu/items/show/10304.